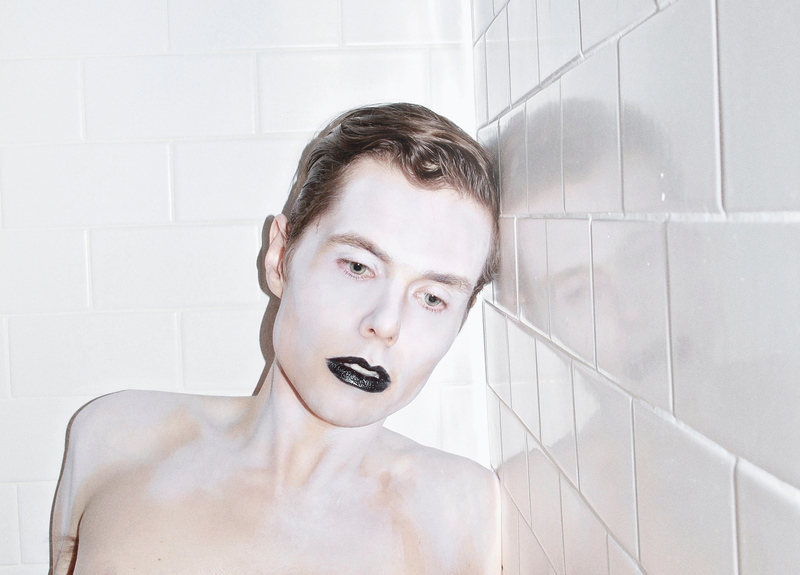 Northwest native Zac Pennington, now an LA resident along with his composer collaborator Jherek Bischoff, makes his L.A. debut at REDCAT’s New Original Works Festival. Photo by Angel Ceballos. What are you doing for the next three weeks? This year’s edition of REDCAT’s 12th annual New Original Works Festival (NOW) looks to be a colorful debutante ball, with several stunning Cinderella arrivals in the mix. In three program over three weeks, there’ll be nine premieres from some fascinating, well- established L.A. artists as well as first-time stage appearances by a few of the city’s singular new residents. 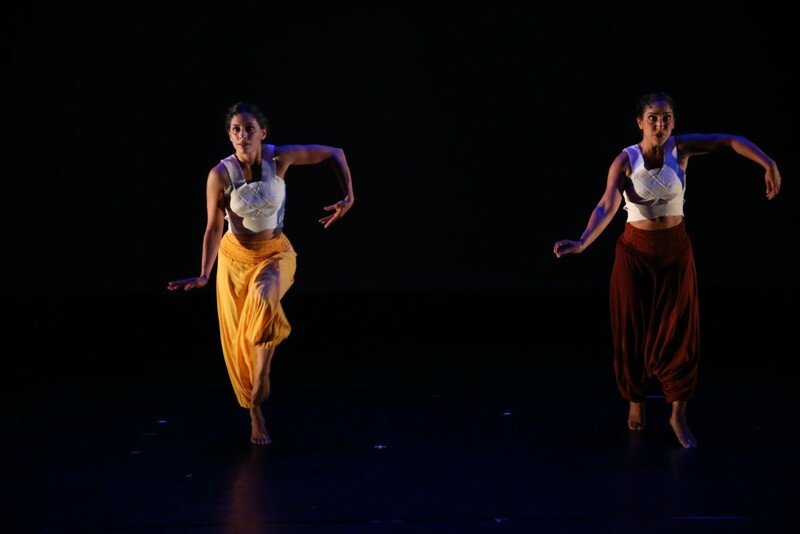 “In|Expiration” with Ulka Mohanty (left) and Sheetal Gandhi (right), presented by REDCAT’s New Original Works Festival, 2015. Photo by Steve Gunther © CalArts. Program One, which opened last night, featured three acts. L.A. dance/theater artist Sheetaal Ghandi, who previously appeared at NOW in 2009 with her one-woman show “Bahu-Beti-Biwi,” performed this time with Ulka Mohanty and Mark Gutierrez in “In|Expiration,” an enchanting 21st century invocation conjured with spoken word, song, dance, and cello — all woven with extraordinary rhythm. Using the theme of breath, “In|Expiration” traverses the Big Bang, lung biology, personal emigration history, racial and cultural discrimination, arriving with sinking eventuality at the center of current U.S. criminal justice scandals. Steadfast and supple, the piece is borne by terrific physical force: neat turns and brave accelerations of body and voice feel to do as much direct transmission of meaning as the nimble rhetoric and storytelling. 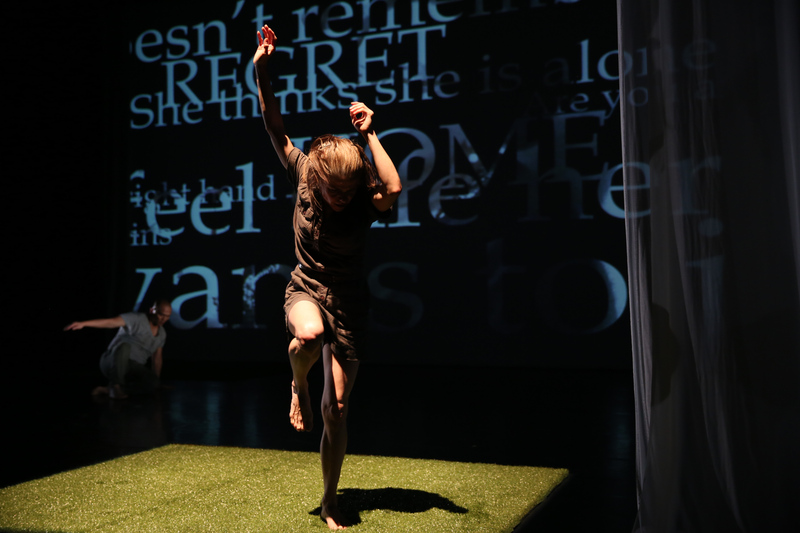 “Bloom,” by Nguyễn Nguyên and Maria Gillespie (in spot), presented as part of REDCAT’s New Original Works Festival, 2015. Photo by Steve Gunther © CalArts. Dancer Nguyen Nguyen makes his choreographic debut at NOW in “Bloom,” a collaboration with award-winning Maria Gillespie (now a Wisconsin resident) whose own choreography debuted in 2003 on the very first NOW festival. A treatise on memory and process and perspective, “Bloom” features taped and live video projections by video artist Fabio Altenbach, recorded and spoken word from various personal and historical sources, taped and live movement — everything doubled and layered, echoing and blurring. The subject is the spectre of Vietnam, with the details of each of the choreographers’ Vietnam histories rendered only in rather ghostly, suggestive ways (Nguyen’s family fled their homeland; in Gillespie’s family, someone — her father (?) — was a soldier). The piece is overlong, and the process-oriented text (“Is this a good place to begin?” repeats again and again) doesn’t feel specific to this content material, just an unnecessary layer in a palimpsest so busy and indistinct that it often dulls the power of the movement. 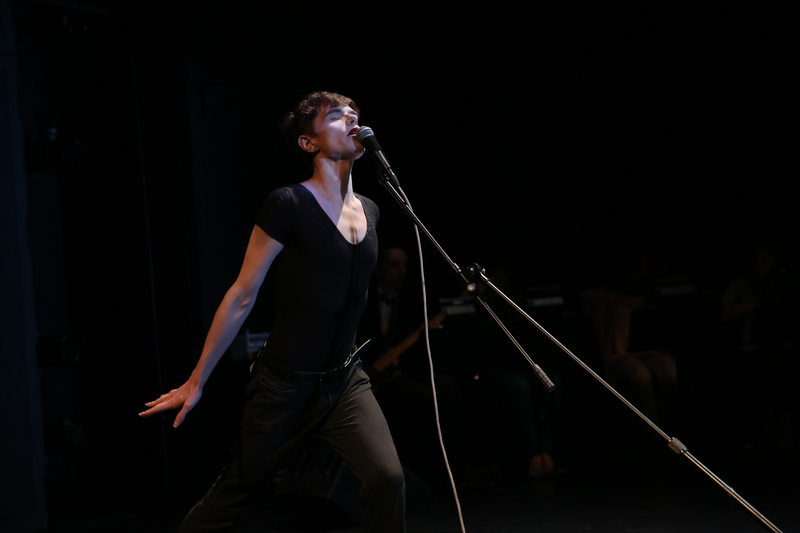 Zac Pennington in “Crying,” presented as part of REDCAT’s New Original Works Festival, 2015. Photo by Steve Gunther © CalArts. It wasn’t surprising how many people rose to their feet for an ovation. Bravo to week one! The New Original Works Festival runs July 30-August 15. Tickets and information at redcat.org.